I like the blue tone of this shot. It is perfect because the trees are almost B&W reinforcing the feeling of autumm. Great compositions of an awesome scene! Love the lighting and the near-silhouette effect. beautiful and loved the desaturated look! 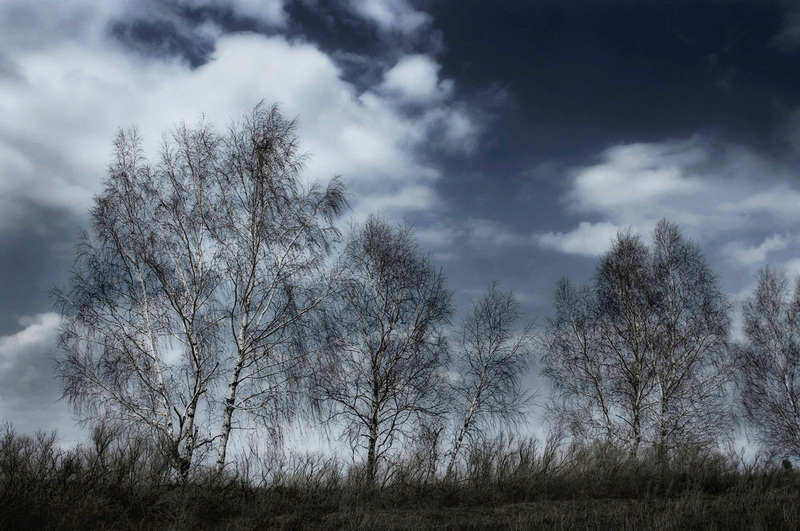 This is such a joyous image of the birches, excellent texture and line, and I love the beautiful sky with clouds. I love the delicate nature of the trees against the steelier background of the sky. Superb shot!